I believe there is no such thing as a dull theme for a game if the theme is well implemented. A lot of people dished Fleet for being a game about gathering a fishing fleet and yet love Terra Mystica even though the theme is pretty crap. 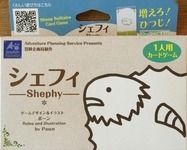 Shephy goes some way to prove that point: A well placed theme, however unlikely and however boring sounding, can make a game better if it is well implemented. In Shephy, humanity has disappeared and sheep must manage without shepperds to grow in number and survive the apocalypse that got rid of humans. Some think that’s difficult and can’t happen because sheep have always been silent and thought of as stupid. And thus the nihilist sheep will not help. And nature won’t help. But we can. We can make 1 sheep into 1000 and win the game. That is what Shephy is all about. Well… it certainly is original and comes all the way from Japan, so it might not be all that easy to find. The game was designed and illustrated by Pawn, and she made a tremendous job of both aspects of the game. This solitaire game comes with 72 cards in a small box and the rules, both in English and Japanese. The box is pretty much fully in Japanese, but don’t let that put you off, the rules are actually very well translated and are easy to follow. I say easy to follow, but that doesn’t mean the game is easy to understand right away. I needed a play or two before becoming fluent. And that is a good thing, I think. A few moments of “Oh! nice!” and stopping for a few seconds to admire the simple but extremely effective artwork will came my way and then found myself playing Shephy time after time. With a play time of about 10 to 15 minutes, fitting in more than one game is easy enough. The cards are pretty good quality and will handle themselves well after much playing. However this little gem is so good that sleeving them all should be compulsory. The box so far is lasting and, at the time of writing this review, it’s been in a suitcase that’s been bashed about in a plane, and in a rucksack that’s come with me all the way from Germany to Iguazu and Buenos Aires… And it’s lasting without getting broken. It is indeed well made. The game has various decks. 7 sets of 7 cards each. Each set has a number – 1, 3, 10, 30, 100, 300 and 1000, a set of 22 event cards and one card to represent the raise of the nihilist enemy sheep that want their destruction (I think that’s what they want… you lose the game if they get to 1000, so I am sure they’re pretty horrible). At the start of the game you place all your sets in front of you and have one card of one sheep. Draw a hand of 5 event cards and start to play. The event cards can be anything from Multiply (duplicate an existing card) to put values together to replace cards, release sheep (send them back to the set they came from) or even get other event cards out of the game completely. Play a card (or two in some cases) and draw a card… rinse-repeat. The thing is that nature is not kind, so there are a lot of events that will release sheep back into the decks. Also there is a limit to the cards you can have in play; just seven. When you run out of event cards, shuffle the discard pile and start again. Also raise the number of enemy sheep from one to ten, from ten to 100 and from 100 to 1000. If that comes to pass, you lose the game. Loosing all your sheep in play, means you lose the game. I tell you, it’s easy to lose the game. Although the 22 events might sound as limited and after a while you become very familiar with them, the shuffling and randomness of the drawing mechanism keeps this game pretty alive. There are lose formulas you can follow to increase your flock, but you can never be sure they’ll come in the right order before you get to the dreaded 1000 enemy sheep. This is a really neat solitaire game. And somehow very addictive. The frustration of losing the game can only be placated with the satisfaction of winning. Thankfully, that satisfaction doesn’t come often enough to make the game boring. Of course, like most quick games, after a while I wanted to play something else. And yet something in my mind wanted to keep coming back to it. Luckily, any break is long enough for this game. Or maybe this game is short enough for pretty much any break, I don’t know which. The point being is that this game is excellent. Truly, truly excellent. There are so many cool details in the game, like illness to destroy your sheep, or a shepherd dog to help you, or… anyway… there are many cool details in the game and they fit the theme so perfectly that I almost ended up caring for my flock. I *really* wanted to get to 1000. And I have done sometimes. But not enough times. So I think that now you know this is an excellent game and why, I will leave you to find a copy and I will get back to trying to populate the Earth with more sheep now that they don’t have humans to help. 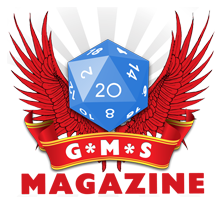 If you have enjoyed this review, please consider becoming one of our Patreon sponsors.